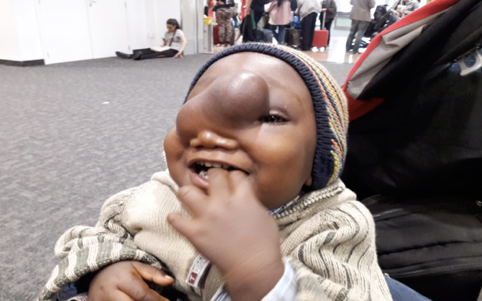 In 2017, during the pediatric surgery organized by Bintumani D-SL in 2017, a then 9-month-old boy, Mohamed, was presented to us by the sisters of the NGO “Lion for Lion” with a deformity in his face. The imaging examinations carried out at Choithram Hospital with ultrasound and computer tomography showed an extensive malformation of the facial bones and meninges, a so-called encephalocele. We decided to investigate the possibility of an operation in Germany, and after returning to Germany, the images were sent to various neurosurgical clinics, departments and other relief organizations. However, the costs for the operation were very high. Only the organisation “Krankenhaus Friedensdorf International” promised a free treatment of the child in Germany at the age of two years. Thus the preparations for the operation in Germany could be initiated at the beginning of 2018. 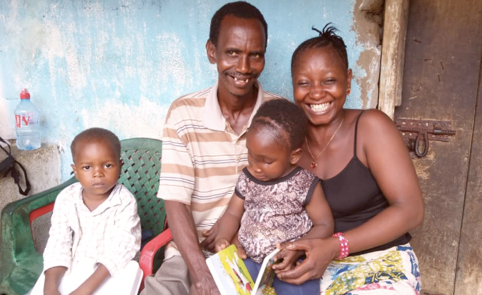 The formalities in Freetown were taken care of by our partner the NGO “Lion for Lion”. This NGO was supported by Dr. Abboud’s “Pikinbizness” for the correspondence with the German Embassy in Ghana for the issuance of the travel visa. The travel costs for the child and one accompanying person were financed from the pediatric surgical account of the association “Bintumani D-SL”. Thus the little Mohamed could be brought to Germany on 28.06.2018 and handed over to the “Krankenhaus Friedensdorf International”. 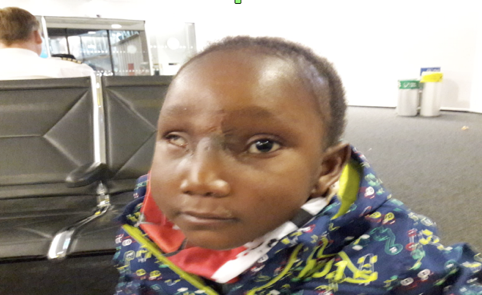 Mohamed could be successfully treated in a five-hour operation by neurosurgeons and dental-maxillofacial surgeons. 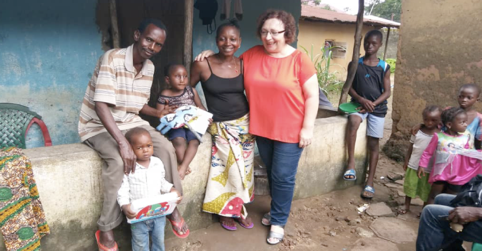 On 28.09.2018 the return of the child to Sierra Leone took place in the company of the chairwoman of “Lion for Lion” Mrs. Brigitte Amara-Dokubo.